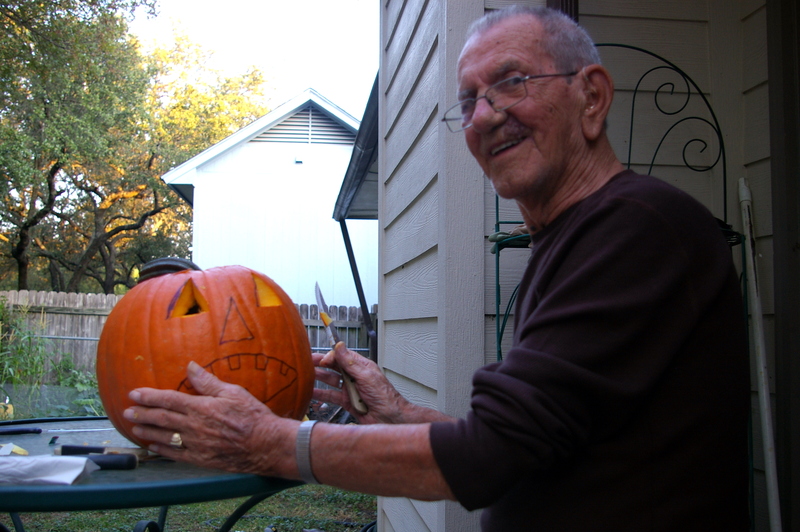 Until I graduated from high school, I always called pumpkins, “punkins.” Maybe this was just my Kansas-born dialect coming out or maybe it was from the nickname my grandpa had for me, but either way, I got made fun of for it. 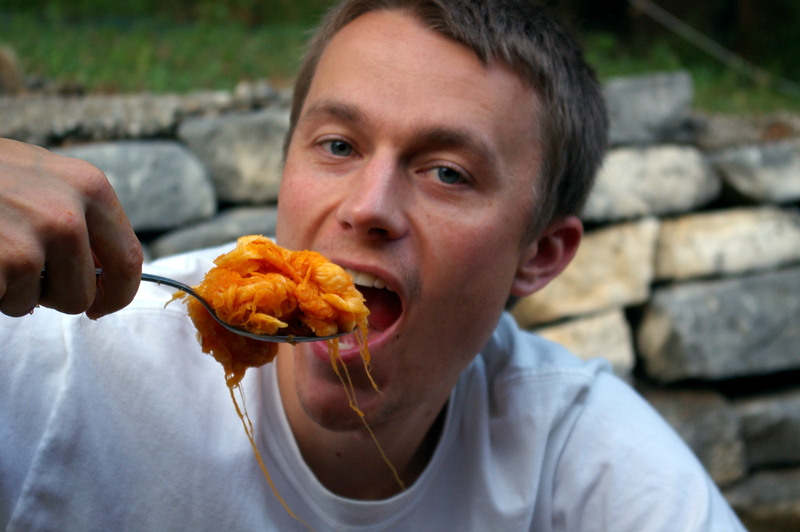 My nickname in track and cross country during high school was Punkin, and when we got Internet for the first time, my AIM screen name was Punkin215. Now that I’m almost 30, I am finally pronouncing it correctly. 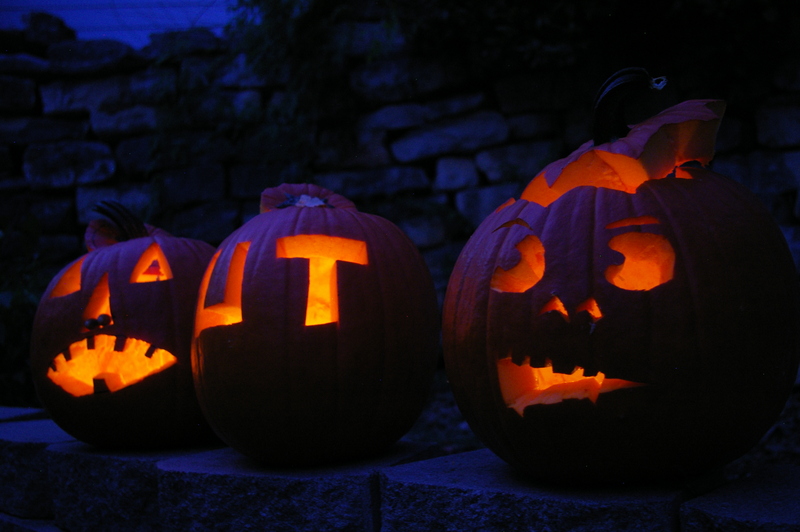 As I mentioned in the last post, my family came to visit last weekend and we had a blast carving “pumpkins.” They have one more night of glory on the front porch (full of bugs and candle wax) until they become compost! 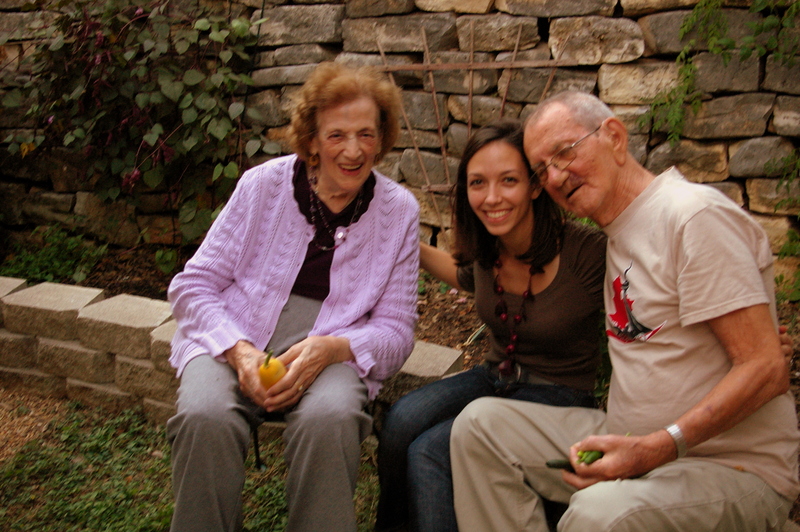 Last weekend, my mom and grandparents came to Austin to visit. The occasion was celebrating my mom’s 39th birthday. We’ve been celebrating her 39th birthday for X years. (Don’t worry, Mom, X is locked in a vault.) 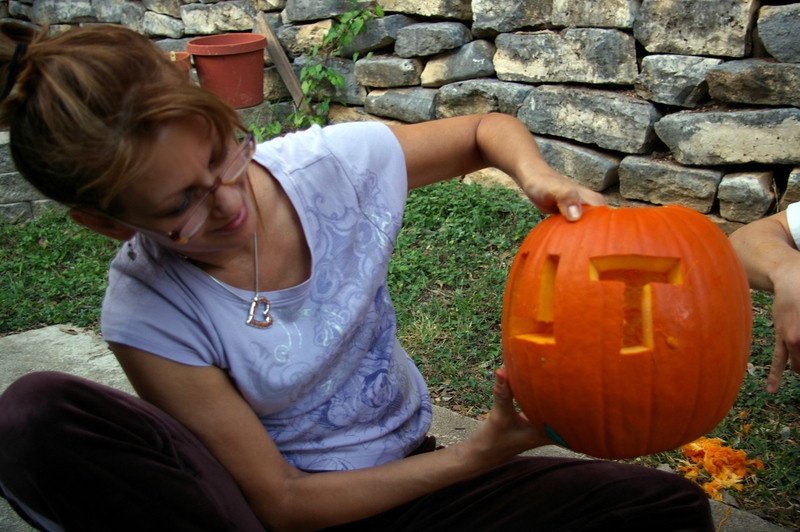 Being such a beautiful weekend, we got to spend some quality time outside, carving pumpkins and picking veggies. I snagged a few shots of the family together. 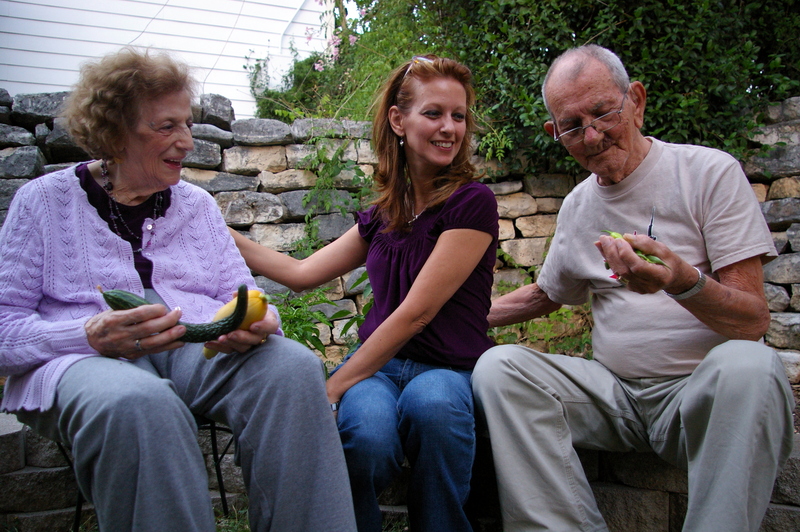 My mom and grandparents examining peppers, squash, and cucs. This got me thinking, the reason Blair and I even started gardening was because of the influence our family had on us growing up. That and we try to be sustainable. 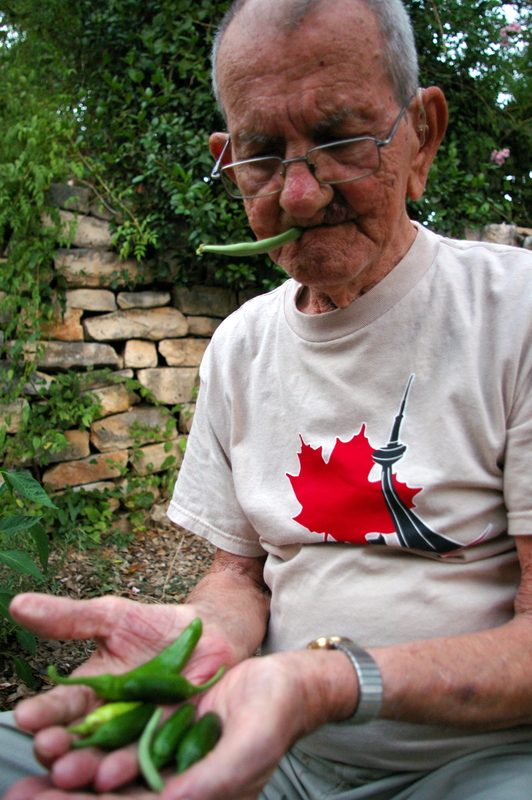 Growing up, my grandpa always had a garden. It wasn’t big, but it had the essentials – tomatoes and peppers. I remember riding on my grandpa’s back around the yard as he crawled around on all fours pulling weeds. His lawn was his prized possession. My grandma’s dad, I hear, was the one with the immaculate garden. 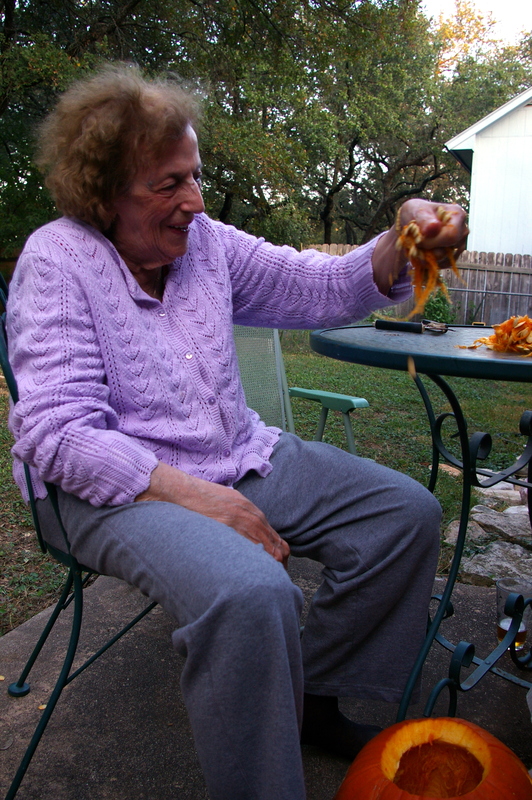 My grandpa tells me stories of his father-in-law mixing dog poop with water and pouring it around the tomatoes as fertilizer. My grandma sighs at him with a disgusted look, denying all the stories. Who’ll ever know if that was her dad’s secret to the perfect tomatoes. I know our cats pee all over the place out here. 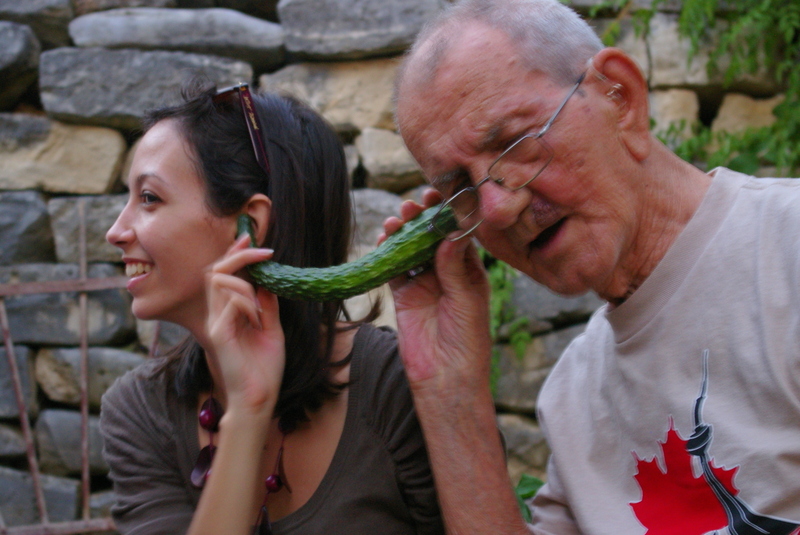 My grandpa is a little quirky, but I love it. Blair grew up with a green-thumb mom. 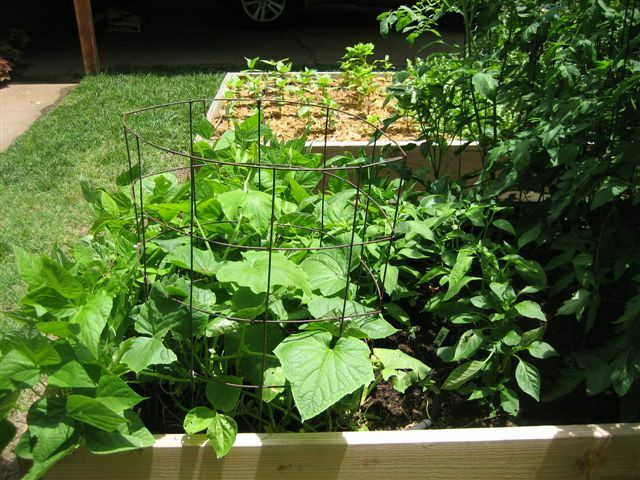 She has one of the most beautiful gardens (both floral and vegetable). Kathy tells me that she’s amazed how much her boys recall the oddest names of flowers – celosia, corn flower (aka Bachelor’s Button), and Blair’s favorite cigar plant. She says they must have been listening all those times she thought they weren’t. Kathy is the one we call when our plants aren’t doing well and need advice, when we need to ask if a critter should live or die, and when we get our first tomato. 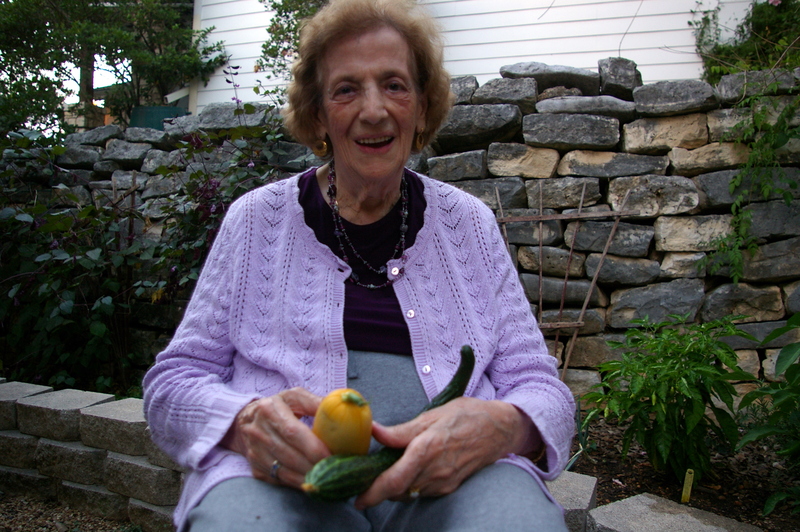 She is a true master gardener! A photo from Kathy's garden. We'll hopefully get her to guest blog one day! My dad even put on his gardening hat this year with some peppers, tomatoes, and onions. He also has the most mint I’ve ever seen in one backyard. 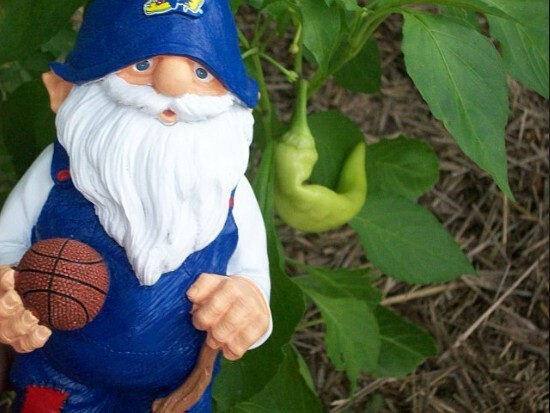 Here’s a picture he e-mailed me with his good luck charm, a KU garden gnome that I got him for his birthday. Yes, my dad is a diehard KU basketball fan, born and raised in Kansas. My second allegiance (after UT) goes to the Rock Clalk, Jayhawks. Before I told my dad that what I’d sent was a “garden” gnome, he had it sitting above his TV. Guess all these gardening genes just run in the family.